One of our best sellers in Salou! 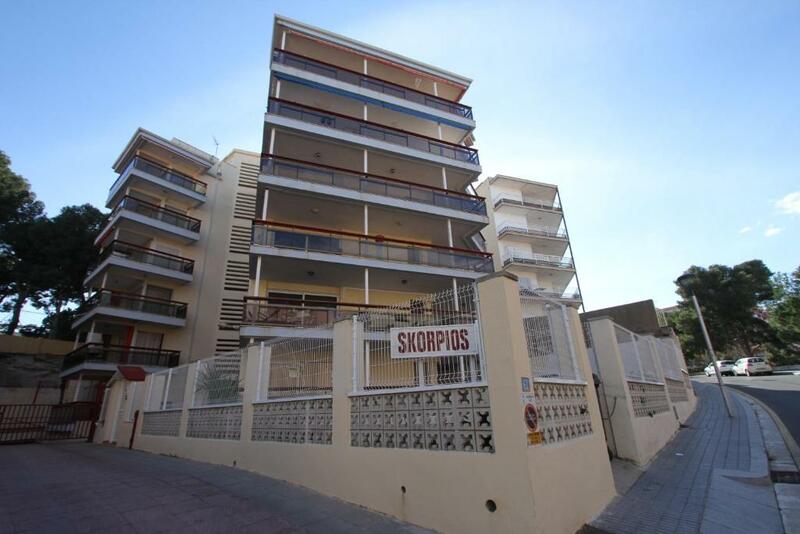 Click&Booking Apartamentos Skorpios offers simple accommodations, 10 minutes’ walk from Capellans Beach. 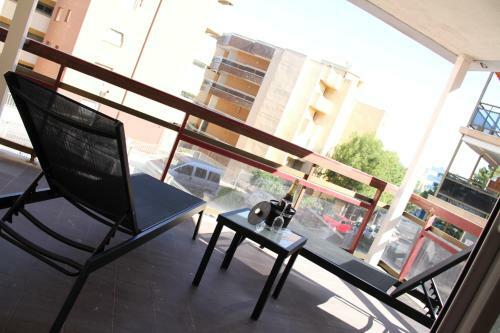 Each has a terrace with a sofa, table and views of Salou. Set on the 1st floor, the 2-bedroom apartments feature simple, functional décor. The lounge, which leads onto the terrace, has a TV and sofa bed, while the kitchen includes a washing machine, microwave, hob and toaster. There are many bars, restaurants and shops within 10 minutes’ walk of the apartments. The Town center is 2.2 mi away and the marina is 10 minutes’ drive away. Click&Booking Apartamentos Skorpios is 4.3 mi from PortAventura Theme Park. Reus Airport is 15 minutes’ drive away, while Romanic Tarragona is 15 minutes’ drive away. 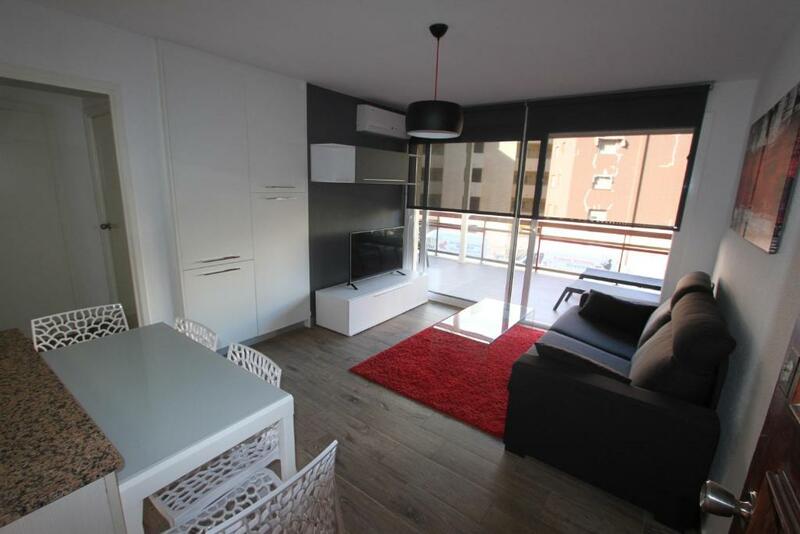 뀐 Located in the real heart of Salou, this property has an excellent location score of 8.1! When would you like to stay at Click&Booking Apartamentos Skorpios? Set on the 1st floor, this 2-bedroom apartment features a spacious terrace with sofa, table and town views and simple, functional décor. The lounge, which leads onto the terrace, has a TV and sofa bed, while the kitchen includes a washing machine, microwave, hob and toaster. The Skorpios apartments are located in the tourist area of Salou. 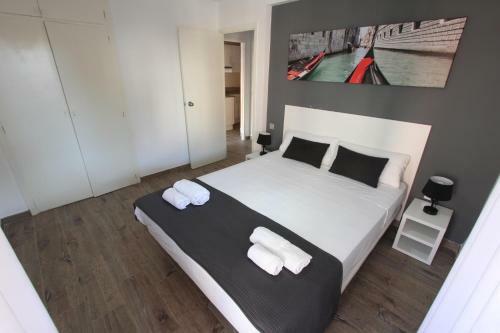 In these apartments you can spend a great holiday enjoying its modern decoration and proximity to the best beaches, restaurants and nightclubs in town. Ideal for holidays with the family or friends. The tourist area of Salou offers many services and options to spend a dream holiday. 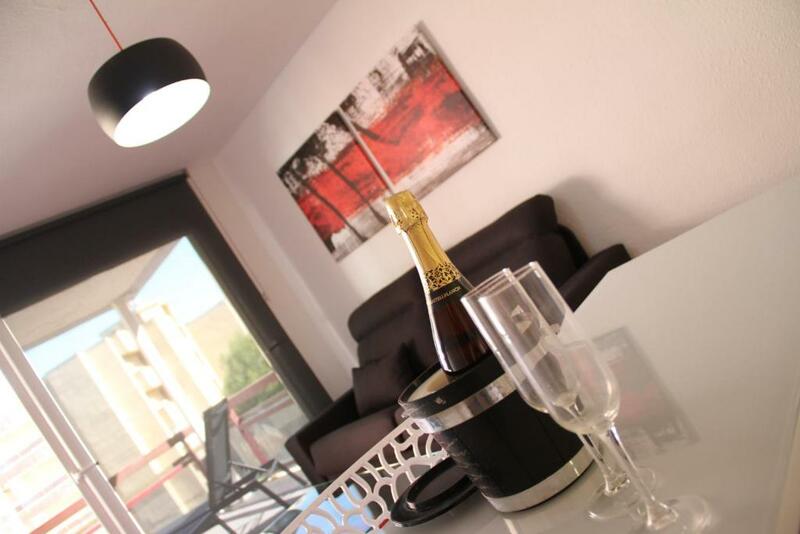 The proximity to the beach, restaurants, bars and nightclubs make this area the busiest in Salou in the summer season. Also, the proximity to the theme parks of Port Aventura World, Aquopolis and Beach Club will make your holiday an unforgettable experience. 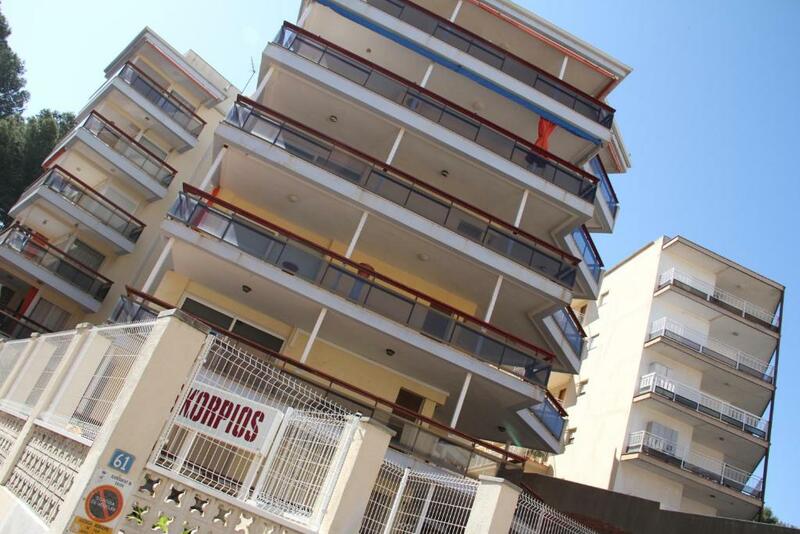 House Rules Click&Booking Apartamentos Skorpios takes special requests – add in the next step! A EUR300 damage deposit is required 7 days before arrival (about USD336.21). This deposit will be fully refunded 7 days after check-out, as long as there isn't any damage to the property. Click&amp;Booking Apartamentos Skorpios accepts these cards and reserves the right to temporarily hold an amount prior to arrival. Click&Booking Apartamentos Skorpios accepts these cards and reserves the right to temporarily hold an amount prior to arrival. The office is open from Monday until Saturday from 16:00 until 20:00. If you expect to arrive outside office opening hours, please inform Apartamentos Skorpios in advance. You can use the Special Requests Box when booking or contact the property using the contact details found on your booking confirmation. Please note, you must pay a late check-in surcharge of EUR 50 if you arrive outside office hours. Please note, check-in after 15:00 is not possible on the 24th and 31st of December and 5th of January. Please note that EUR 300 will be blocked on your credit card upon arrival. This security deposit will be released 24 hours after check-out subject to a damages inspection. 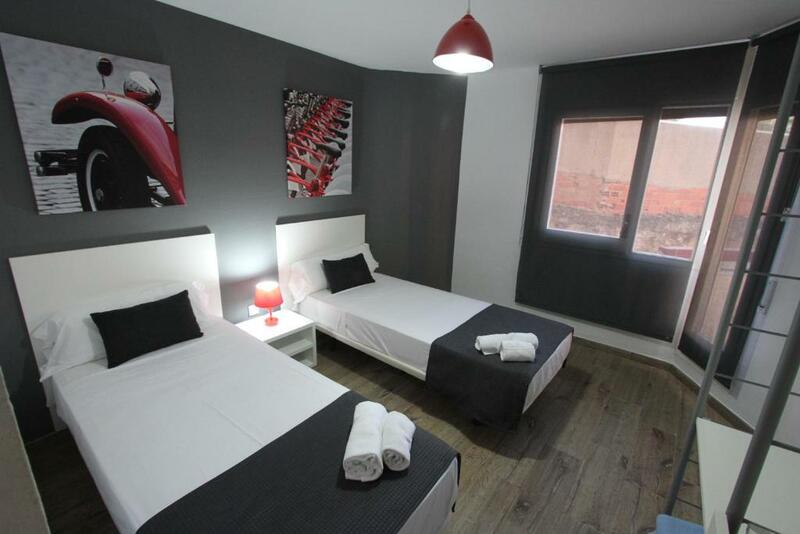 Please note that check-in and key collection take place at: CLICK&BOOKING, Passeig Miramar 6, Salou 43840. Please inform Click&Booking Apartamentos Skorpios of your expected arrival time in advance. You can use the Special Requests box when booking, or contact the property directly using the contact details in your confirmation. A damage deposit of EUR 300 is required. The host charges this 7 days before arrival. That's about 336.21USD. This will be collected by credit card. You should be reimbursed within 7 days of check-out. Your deposit will be refunded in full by credit card, subject to an inspection of the property.